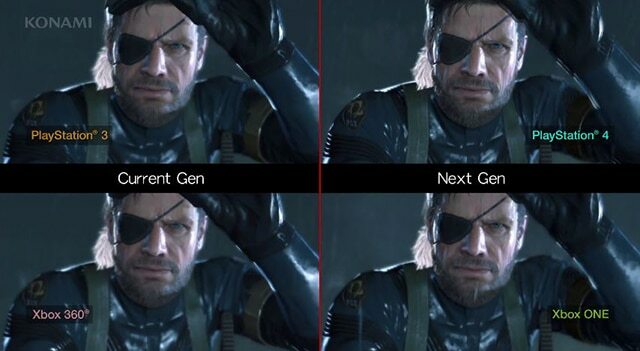 Konami has released a video comparing graphics among Metal Gear Solid V: Ground Zeroes consoles. The video compares current gen consoles like the PS4 and Xbox One and next gen Xbox One and PS4. It’s shocking how amazing the current gen consoles graphics are, they are almost identical to next gen consoles. Comparing to next gen consoles, however, the video shows that the PS4 has sharper image. The PS4 also has atmosphere simulation which the no other version has.